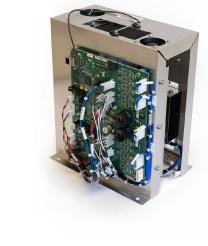 Let Lasertel build your DPSS or direct diode laser system. With internal semiconductor laser diode and optics manufacturing, our vertically integrated infrastructure makes us the perfect contract manufacturing partner for your laser design. Lasertel offers prototype development, low rate initial production, design for volume manufacturing, and high volume laser production services. With in-house optical, mechanical, electrical, and software engineering teams, we can take your design to the next level.